When one thinks about the Caribbean, words such as charming, romantic, serene, laidback and alluring are just a few of the things that come to mind. The Islands of the Caribbean provides the perfect escape from the fast-paced nature of the modern world and is the ideal place to slow down a little and admire and appreciate the beauty of nature. There is also no better place to host your dream destination wedding; whether you want to say “I do” on a powdery white sand beach with your toes in the ocean or you just want an alluring garden setting with the ocean as your backdrop, there is a perfect Caribbean island for you! We will highlight the 10 best Caribbean islands to say, “I do” and also some of the best locations on each island to host your big day! If the beach is your preferred location for a dream destination wedding, the alluring and romantic island of Antigua provides you with 365 different locations! Antigua boasts 365 beaches- one for every day of the year! You can choose a private secluded beach that you will have all for yourself or a beach with amazing geological scenery as your backdrop. Antigua also provides the perfect option for a sunset wedding or the unique possibility of getting married on the water aboard a Yacht or catamaran. The island also includes some picture perfect and quirky historical sites perfect for hosting the destination wedding of your dreams. Best Locations – Starfish Jolly Beach, Sandals Grande Antigua, The Sea House Antigua, The Verandah Resort and Spa and Carlisle Bay. 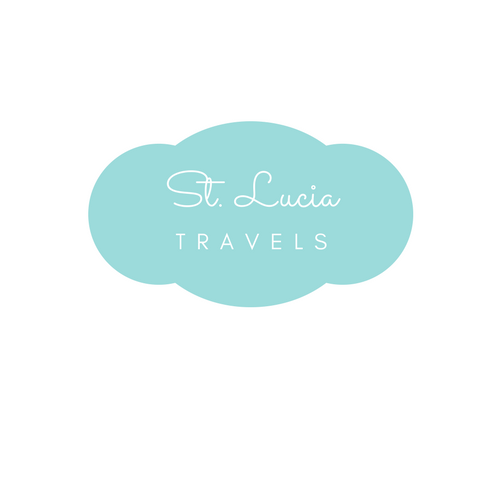 The beautiful island of St. Lucia is perfect for the destination wedding. The variety of exotic wedding locations, an abundance of hotels offering great wedding packages, and the diversity of activities available for the wedding party. Getting married in St. Lucia is also extremely easy, you can arrive on the island today and get married tomorrow, and the wedding is perfectly legal! There are so many activities on the island to keep your wedding party happy, ranging from water activities such as scuba diving and kiteboarding to land-based activities such as climbing waterfalls, exploring historic plantations or riding a zip line through a tropical rainforest. Best Locations – Pigeon Island, The Cap Maison Resort, The Caille Blanc Villa, Sandals Grande St. Lucian(free wedding when you stay for 3 nights or more) and The Piton View Lawns. The Dominican Republic offers you a picture perfect wedding on endless beaches – the destination has over a 1000 miles of truly exotic white sand beaches, with the Azul waters of the ocean as the backdrop for your dream wedding. In addition to the beaches, there are several alternate spots available to host your wedding. You can choose one of the picturesque waterfalls, nostalgic colonial buildings or the breath-taking cliffs as the backdrop for your big day! The Dominican Republic also offers exceptional value for your money and is a very accessible destination for North Americans seeking a cost-effective yet wedding friendly destination. Best Locations – Dreams Punta Cana, Zoetry Aqua Punta Cana, Hard Rock Hotel and The Atlos De Chavon Mediterranean Village. Jamaica is a leading destination for weddings in the Caribbean. Due to factors such as the abundance of beaches, all year warm tropical weather, the availability of several wedding resorts with experienced wedding planners. The vibrant spirit of the Jamaican culture and people make it so easy to get married on the Island. You are only required to be in Jamaica for twenty-four hours before saying “I do.” Imagine walking down the aisle on a powdery beach to the vibrant sound of Bob Marley, and you will realize that everything will be Irie for the rest of your lives! The island is also easily accessible from all major North American airports, making it easy for your guests to get to Jamaica! So, you can go ahead and book your destination wedding in Jamaica; the island covers all the bases for you to have the wedding of your dreams! Best Locations – French Man’s Cove, The Seven Mile Beach in Negril, several all-inclusive resorts inclusive of Sandals, Hilton Rose Hall Resort and Spa, and the Silver Sand Beach. The Turks and Caicos Islands is a collection of exotic islands in the Caribbean with some of the most stunning beaches in the world! The exotic and romantic feel of the islands makes them the perfect option for hosting your destination wedding. Also, the island is home to some of the most luxurious all-inclusive resorts in the Caribbean that offer spectacular wedding packages, inclusive of a wedding planner and processing of all documentation, making the entire wedding process seamless. The location is also perfect for large wedding groups due to the availability of direct flights from the United States that gets you to the island within an hour! Best Locations – Grace Bay Beach, Beaches Turks and Caicos, The Palms Turks and Caicos, Amanyara Resorts and The Somerset Resort. The Bahamas is known for its many exotic islands and pristine beaches. It is also a favorite location for North American brides due to its proximity. The Bahamas has such a wide array of wedding locations due to the availability of so many islands and cays. You can choose your own piece of paradise for the wedding of your dreams in this unique tropical destination! The Bahamas also breathes romance, due to its breath-taking views, soft pink and white sand beaches and beautiful sunsets. It is the perfect place to fall in love all over again and set the tone for a blissful life after your romantic wedding! Best Locations – Sandals Emerald Bay, Atlantis Paradise Island, The Pelican Bay Hotel and the Cove Eleuthera. The beautiful Cayman Islands is becoming a leading light in destination weddings in the Caribbean. The powdery white sand beaches, exotic water sports and marine life, surfing opportunities, top-notch dining options, simple, beautiful wedding locations and knowledgeable wedding coordinators make the Cayman Islands the perfect spot for your destination wedding. Best Locations – Resorts on the Seven Mile Beach including The Ritz Carlton, The Westin Grand Cayman, The Caribbean Club, and the Marriott of Grand Cayman. The Grand Old House and Kaibo Beach are also great wedding locations. The Dutch Island of Aruba located in the southern Caribbean is a charming and happy island and is the perfect place to say, “I do.” The island is blessed with warm tropical climates all-year round and is also situated outside of the hurricane belt, which makes planning your wedding so much easier since you do not have to consider the possibility of your wedding been affected by a hurricane. The island also has some of the best beaches in the Caribbean – Eagle Beach is one of such. You can feel free to explore the romantic island with your special someone, and your wedding party since Aruba has one of the lowest crime rates in the world! Best Locations – Eagle Beach, The Alto Vista Chapel, Arikok National Park, Machebo Beach Resort and Palm Beach hotels such as The Hyatt, Marriott and Ritz Carlton. Anguilla is an exotic and romantic island in the eastern Caribbean. The island has several unexplored and private beaches and alluring wedding locations for the Caribbean wedding of your dreams without the large crowds. You can try a romantic ferry ride to one of the neighboring islands such as St. Maarten or just relax and absorb the fresh tropical air on an Island that encourages a slower pace of life. A destination wedding in Anguilla will be a romantic and stress-free undertaking; you will be assisted by wedding planners who will ensure that everything goes perfectly for your wedding in paradise! Best Locations – Sandals Grande Anguilla, Sandy Island, Cuisinart Golf Resort, Ani Villa, Little Bay, Prickly Pear Cay and the Malliouhana Hotel. If you are seeking a luxurious, charming and exclusive tropical island for your destination wedding, Barbados is the place for you! The island provides the peace and tranquillity that you desire for your wedding; whether you want to tie the knot on one of the blissful beaches, a historic church or an alluring botanical garden, you will say, “I do” in style in Barbados. Getting to Barbados is also a breeze for your wedding party, with daily direct flights available from Canada, the United States, and Europe. Also, Barbados is one of the easiest places to get married; you can tie the knot within twenty-four hours of being on the island! Best Locations – Bellevue Plantation, Sugar Bay Beach, The Savannah Beach Hotel, The Bougainvillea Hotel and the Turtle Beach Hotel. Well, folks here are the best top 10 destination islands we think you would have the wedding of your dreams on. Please feel free to tell us what you think and if you have experienced any of these magical islands, we would love to hear about it in the comments below.